In order to tackle food and nutrition needs of the world, under tough and shifting climate conditions, World Bank Group (WBG) had emphasised upon its efforts to promote Climate Smart Agriculture (CSA). Huge growth in population and continuously changing diet are the two major factors behind changing food needs of world. Production is regularly suffering due to reduced yields from farm lands. Natural resources of the entire world are going flimsy with every passing day. Marine resources, bio-diversity, water and soil health all are suffering in chase of higher yields. In this regard, major developing countries like India and China and Brazil offers a ray of hope. A 2016 estimate by World Bank found that one in nine people suffers from chronic hunger and in 2014 around 12.9 per cent of the population in developing countries was undernourished. The food security challenge will only become more difficult as food demand is projected to rise by at least 20 per cent over the next 15 years. The challenge is intensified by agriculture’s extreme vulnerability to climate change. Hotter and shorter growing seasons, reduced rainfall and more frequent extreme weather events are affecting crops and livestock. A recent Berkeley study had claimed it to be major culprit of over 60,000 farmer suicides in few decades in India. Substantial investments in adaptation are required to boost or maintain agricultural production and help farmers become more resilient in the long term. 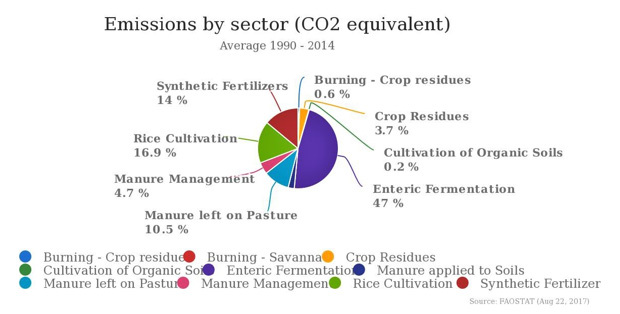 Agriculture does play a major part in climate challenge. It currently generates around 25 per cent of total greenhouse gas emissions (as per estimation of World Bank Group). Without action, that percentage could rise substantially as other sectors claim to reduce their emissions actively. Need of the hour is to increase the yields with a challenge to control greenhouse gas emissions. India’s total emissions by sector had been given. While built on existing knowledge, technologies, and principles of sustainable agriculture, CSA is distinct in several ways. First, it has an explicit focus on addressing climate change. Second, CSA systematically considers the synergies and trade-offs that exist between productivity, adaptation and mitigation, in order to capitalize on the benefits of integrated and interrelated results. In not a very recent development, WBG has claimed working on delivering climate-smart agriculture in all its operations. It is suggested that WBG portfolio will also increase its focus on impact at scale and rebalanced to have a greater focus on adaptation and resilience. World Bank had already asked India to focus upon channelizing irrigation to avoid heavy dependence on rainfall from the funds by WBG. According to WBG they are enabling commitments to fight climate challenges. In the words of WBG outlook “we are screening all international development association (IDA) projects for climate risks, and will continue to develop and mainstream metrics and indicators to measure outcomes, and account for greenhouse gas emissions in our projects and operations”. These actions will help our client countries implement their Nationally Determined Contributions (NDCs) in the agriculture sector, and will contribute to progress on the Sustainable Development Goals for climate action, poverty, and the eradication of hunger. 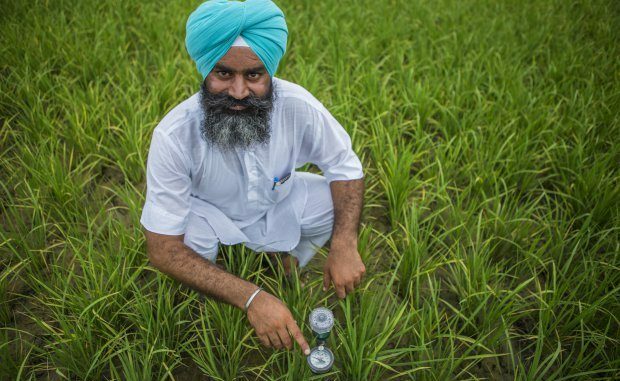 The World Bank Group also claims to back research programs such as the consultative group on international agricultural research (CGIAR), which develops climate smart technologies and management methods, early warning systems, risk insurance and other innovations that promote resilience and combat climate change. The CSA country profiles bridge a knowledge gap by providing clarity on CSA terminology, components, relevant issues, and how to contextualize it under different country conditions. The knowledge product is also a methodology for assessing a baseline on climate-smart agriculture at the country level (both national and sub-national) that can guide climate smart investments and development. Indian agriculture groups are eyeing for a positive outcome of these efforts by WBG as it may open doors of huge opportunities says representative of crop care federation of India (CCFI).